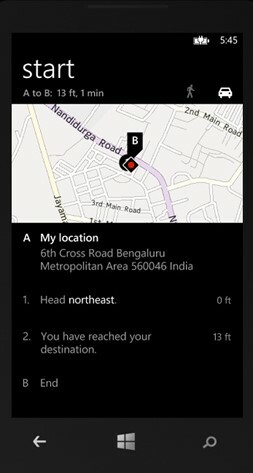 How to Display Directions via Built-in Maps in Windows Phone 8 App? 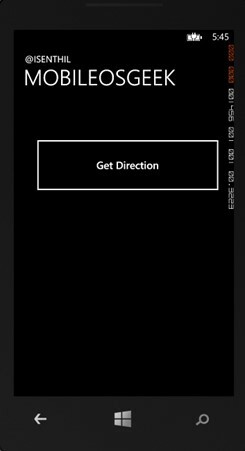 The Windows Phone 8 SDK provides the MapsDirectionsTask launcher which allows the users to get the route or direction from the built-in maps application in windows phone 8. To get the route, simply create an instance of the MapsDirectionsTask, set the Start and End co-ordinates and call the Show method. If the Start property is not set, the phone takes the current location as the starting point.